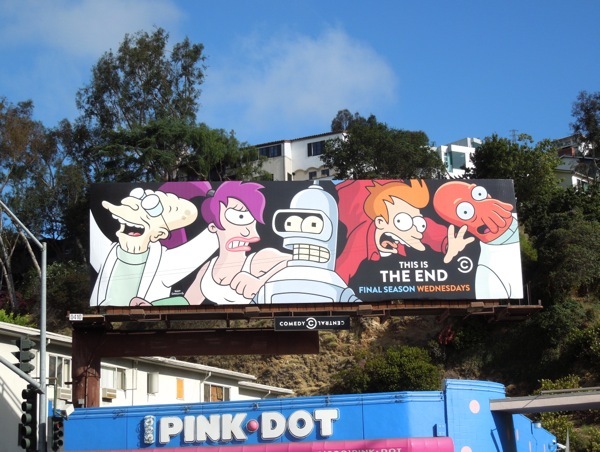 After surviving cancellation from Fox and rebirth on Comedy Central, sadly there appears to be no future for the animated science fiction sitcom Futurama after this its seventh and final season. Indeed, this is the end for the spoof set in a retro 31st century, which follows the crazy misadventures of the multi-species crew of the Planet Express delivery spaceship, from one-eyed aliens, to robots and time-displaced humans. 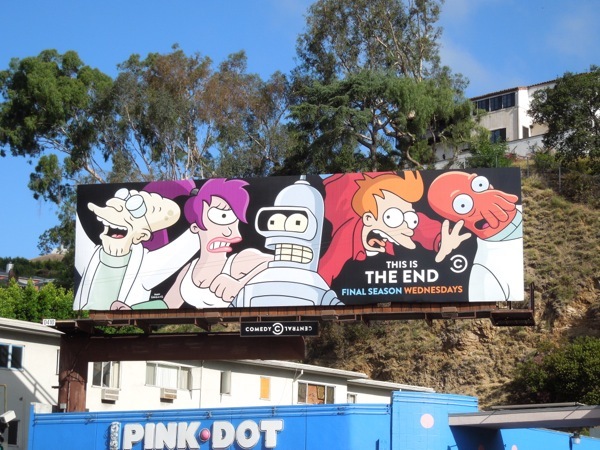 Whilst Matt Groening's futuristic comedy never enjoyed the dizzying success of his other creation, The Simpsons, it's still an award-winning series with a loyal following who are sure to miss Professor Farnsworth, Leela, Bender, Fry and Zoidberg. 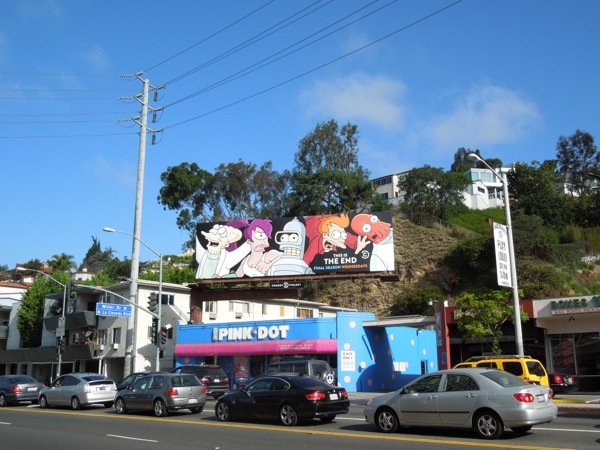 This final season seven billboard for Futurama was spied along Sunset Boulevard on June 19, 2013. But is this really the end, or will the show merely fall into cryogenic sleep to return once again in the far future, maybe in film form? Only time will tell.